Munich. 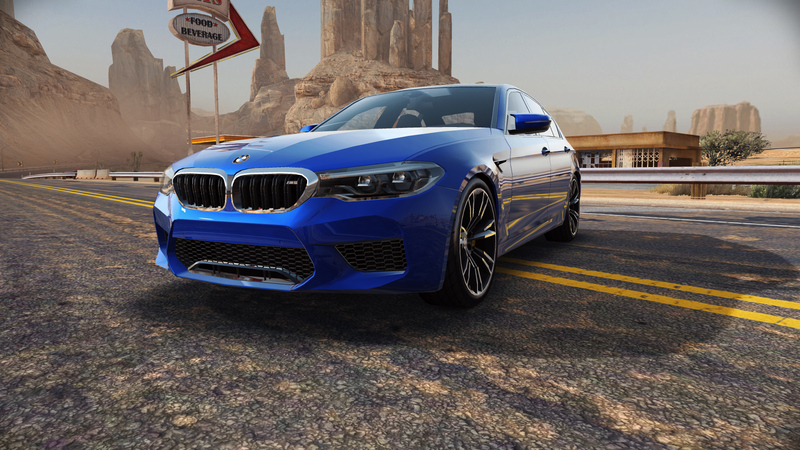 Millions of gamers worldwide can look forward to an exciting new addition to “Need for SpeedTM No Limits”: Starting this weekend, the new BMW M5 (fuel consumption combined: 10.5 l/100 km; CO2 emissions combined: 241 g/km) will be available for the highly successful smartphone racing game. The high-performance sedan is an exclusive feature of the latest “Xtreme Racing Championship”; between 2 – 9 February, players will be able register for the championship. After registration, they have seven days to drive the BMW M5 in a series of competitive races to test their skills. Winners will be able to permanently unlock the model. “Need for SpeedTM No Limits” is the first adaptation of the extremely popular racing game series “Need for SpeedTM” for mobile devices. In the two-and-a-half years since its market launch, it has become one of the most popular smartphone racing games in the world, with several million downloads and a very active community. The game offers a wide range of unlockable vehicles that can be customised to individual preferences and then tested against other players around the world in different racing modes. More than 11 billion races have already been completed. BMW is already part of the game, with the BMW M3 Coupé (1999), the BMW M4 Coupé (2014) and the BMW M2 Coupé (2015). The new BMW M5 Sedan will now join this trio. It will be integrated into the game’s app icon and also features in the game trailer. With the BMW M5, BMW has the fastest model in the Sports category. By this, gaming enthusiast around the globe can experience the new Sports Sedan even before its market launch in March 2018. Electronic Arts and the BMW M5 already share a history. The sedan celebrated its world premiere last year – not, as is customary, at a motor show, but at Europe’s biggest trade show for interactive games and entertainment, GamesCom in Cologne. Why? Even before the BMW M5 was available in showrooms, gamers were already able to experience it in the action racing game “Need for SpeedTM Payback” that had just been released at GamesCom 2017. In the meantime, gamers worldwide had already clocked up around 480,000 hours – equivalent to about 55 years – in the new BMW 5 Series Sedan on the virtual racetracks of “Need for SpeedTM Payback”. The BMW M5 continues the long history of BMW models in the successful “Need for SpeedTM” racing game series. The first BMW featured in “Need for SpeedTM” back in 1997; the first BMW M5 in 1999. These were followed by the BMW M3 in “Need for SpeedTM Most Wanted” in 2005, the BMW M3 GTR in “Need for SpeedTM Shift” in 2009 and many other appearances, including the BMW M4, M6 and Z4 M. Just three years ago, in 2015, the new BMW M2 made its big debut in the newest instalment of “Need for SpeedTM” at that time. Further information on official fuel consumption figures, specific CO2 emission values and the electric power consumption of new passenger cars is included in the following guideline: “Leitfaden über Kraftstoffverbrauch, die CO2-Emissionen und den Stromverbrauch neuer Personenkraftwagen” (Guideline for fuel consumption, CO2 emissions and electric power consumption of new passenger cars), which can be obtained from all dealerships, from Deutsche Automobil Treuhand GmbH (DAT), Hellmuth-Hirth-Str. 1, 73760 Ostfildern-Scharnhausen and at https://www.ea.com/games/need-for-speed/need-for-speed-no-limits?setLocale=en-us.